June 25, 1921. 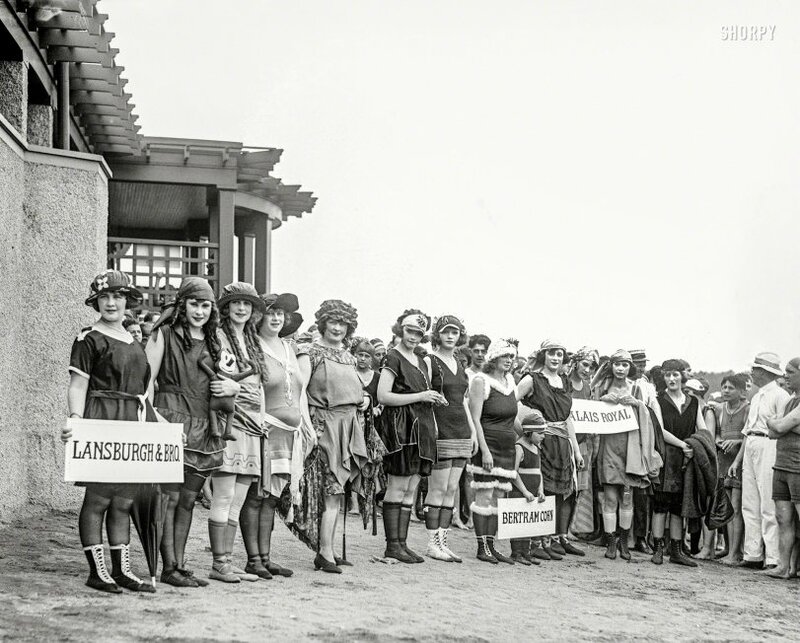 Washington, D.C. "Bathing beach costume contest." The ladies last glimpsed here, an array of lesser lights orbiting the transcendently beautiful Iola Swinnerton, second from left with the Krazy Kat doll. View full size. Submitted by mwelch on Sat, 02/25/2017 - 9:23am. OK, boxing then. We have shoes to prove it.